In many ways it saddens me to share this news with you. 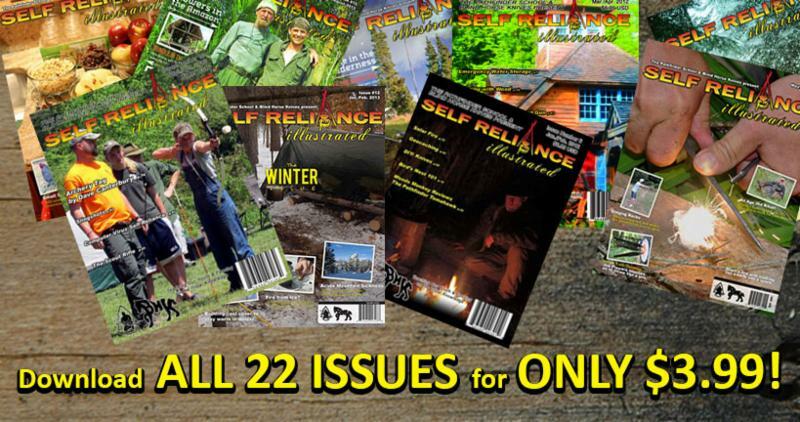 I have been blessed to write for Self Reliance Illustrated with two of my articles being featured in each of these issues – Issue 19, Issue 20, Issue 21 and Issue 22. We have been subscribers to SRI since they started. Dave Canterbury has been someone we followed since he started putting his videos on YouTube many many years ago. When Dave announced that he started a magazine – we were one of the first to subscribe to SRI. Dave Canterbury, LT Wright Knives and Self Reliance Illustrated announced earlier this month that they were shutting down the magazine. This was such sad news because we loved being able to read all the articles and it was quite an honor to end up being a contributing writer for SRI. I never in a million years imagined when I first subscribed that I would be able to embrace my dream of writing in the very near future let alone being a contributing writer for a magazine we held so high! I felt very honored to write for SRI and to be amongst the other amazing contributors! Although this is sad news, there is also some good news to share as well. Even though they have shut down the magazine, they have compiled a digital archive of ALL of their issues that is available to you. So if you have not had a chance to get all the issues or have never seen SRI before, now is your chance to get all 22 issues for only $3.99. This is truly a steal for all the information that is included! It thoroughly excites me that this is available and I took the time to purchase my copy as well so I can store in on my ipad. It has been a tremendous honor to be a part of this venture and also to be included in this last issue. You will also find several of my friend’s featured in this issue as well, such as Melissa K. Norris, Craig and Jennifer Caudill, Jamie Burleigh and so many more…. A special thank you to Self Reliance Illustrated and the staff as well as Dave Canterbury, LT Wright Knives and Mike Henninger for the opportunity to work with you all! Enjoy and get your copy now…..